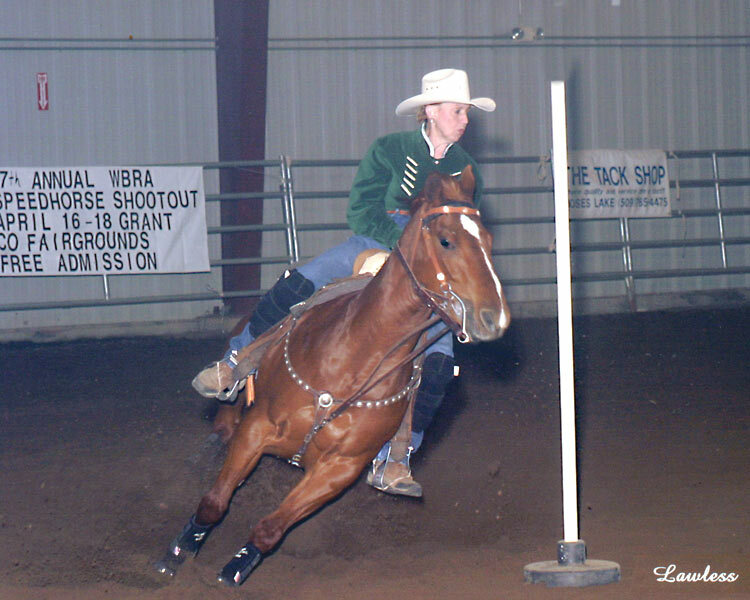 Cowgirl In The Money 1999 Sorrel Mare 14.2, 1,000 lbs. 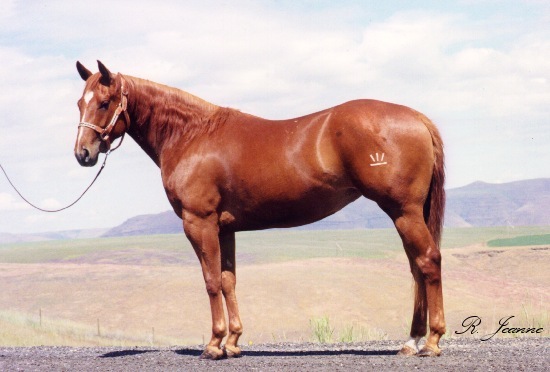 Cowgirl is an own daughter of On The Money Red, all time leading sire of money-winning barrel horses. 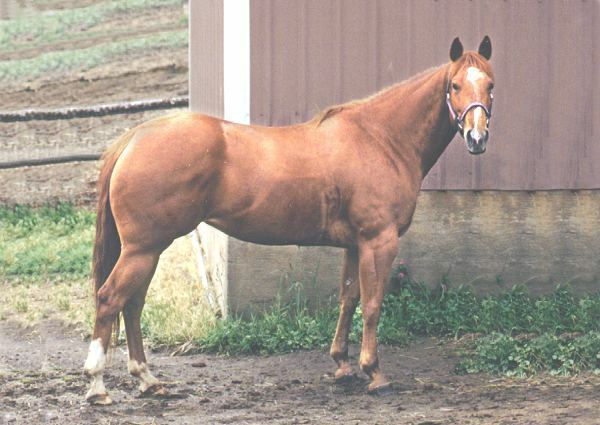 She is out of a cutting bred mare, who was a barrel horse in her own right. 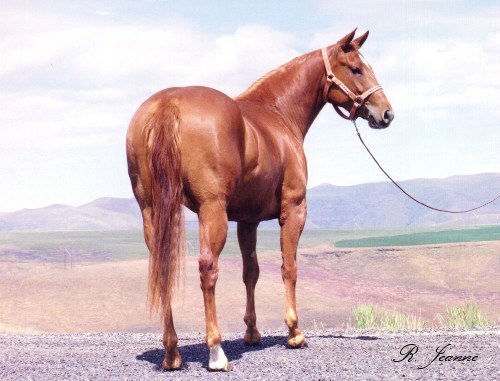 This mare boasts the close-up bloodlines of cutting legends Peppy San Badger and Docs Superstar Bar. 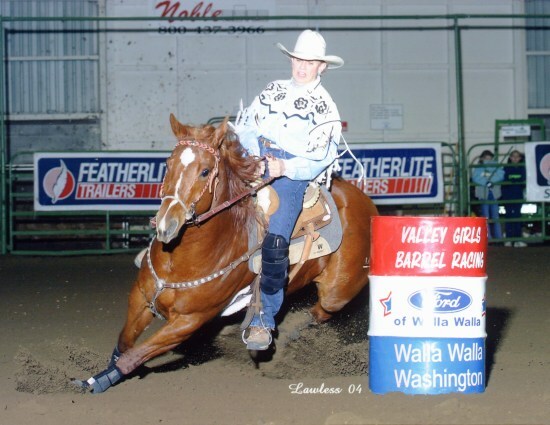 Pat and Cowgirl won both goes and the average in the 2004 WBRA pole bending futurity in Moses Lake, Washington. 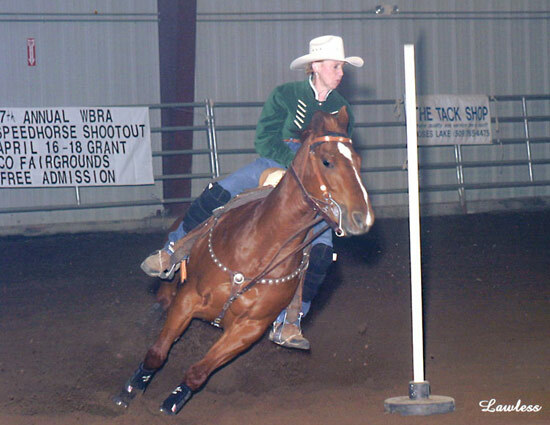 We expect her to go on and be a truly great pole horse. She has been started right, using the principles of the Sandberg method that Ken teaches in his pole bending clinics. 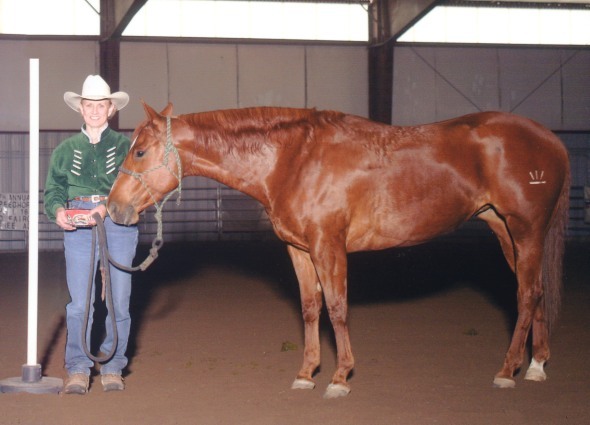 Cowgirl is the "demo" horse in several of the video clips Ken uses at the clinics. She has a natural, easy, quick turn, and flexes evenly to either side. Cowgirl is very light and willing. She's very bright and catches on fast. She's been our 'Houdini' horse - she can open a gate in seconds. She is definitely smarter than the average horse. 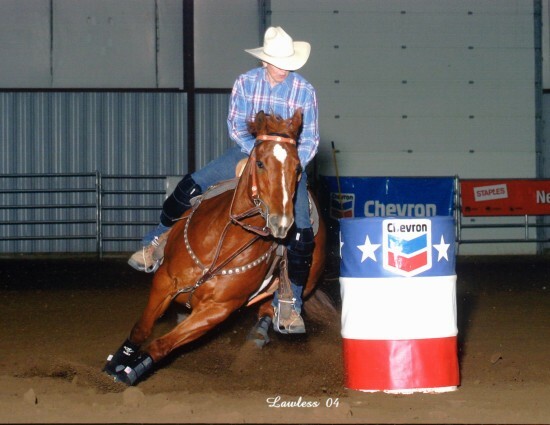 Cowgirl displays incredible quickness and balance. She has the moves of a football running back. She can fake and dodge with the best of them - definitely an athlete. She is not a tall horse, due to the cutting blood of her dam. At dinner time she will grind her teeth and pin her ears, but its all a bluff. A little rubbing and scratching brings the ears up and she assumes a mellow attitude. Cowgirl is a pleasure to ride and nice to be around, and good around other horses. In fact, she gets along well with all our horses. 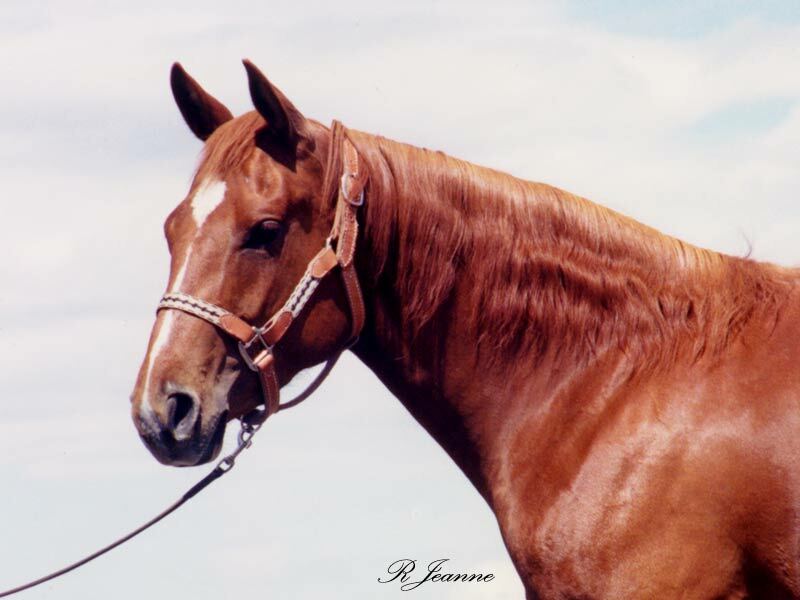 All photographs and text on this page copyright © Sunrise West Quarter Horses and R.Jeanne Equine Photography, all rights reserved. Comments about the site structure should be directed to webmaster (at) sunrisewest (dot) com.